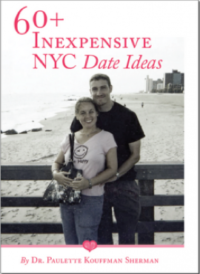 This workbook was designed for the successful career woman who wants a balanced romantic relationship that supports her dreams too. 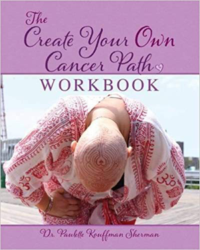 It is full of assessment and journaling questions to help her reflect on her overall work-life balance, her relationship vision, her dating action plan or her existing relationship balance. 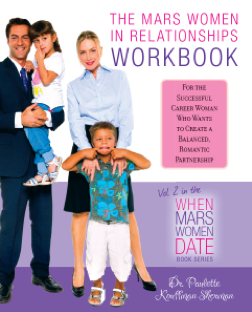 It even includes a chore list, a Resource List and a couple’s vision document so that couples can break down the action steps they need to take to create a mutually supportive balanced relationship at work and at home. I believe that this shift in balanced romantic relationships is the third wave of Feminism and it’s also ultimately the next important shift for humanity. Both men and women can benefit from integrating their archetypally feminine and masculine energies and roles. Men will become more comfortable and fluent in their relationships with their children and with domestic roles and women will continue to grow and leave their mark in the outer world, in their careers. Our children will learn that work and home spheres are not tied to gender roles and they too will grow up whole and will engage in more balanced and loving romantic partnerships themselves. 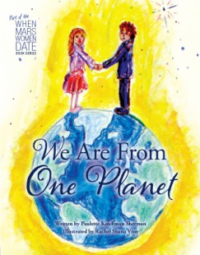 This workbook has 20 exercises and 3 main sections: An overall Life assessment, a Dating Assessment for single Mars women and a Long Term-Relationship/Marriage section for Mars women in relationships who are looking to create a new balance. 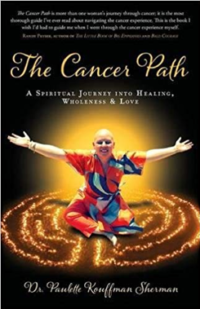 No matter what your life stage this book should help you to create more inner and outer balance so that you have work and life success. 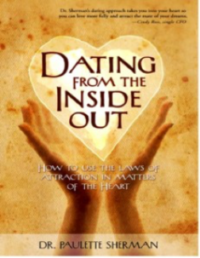 This workbook will take you on a personal journey to discover who you are and what you most want in your relationship. This manual will help you and your partner assess where you currently are and how to co-create the best balance for you both going forward. 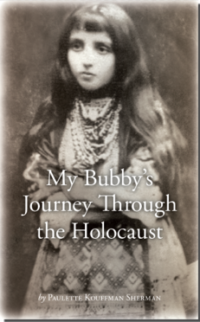 My Bubby’s Journey through the Holocaust!